After Yesterday’s (Monday 30th July 2012) slightly unsuccessful Synchronised Diving at the Olympic Games, Tom Daley was subjected to a barrage of abuse on micro blogging site Twitter by an obnoxious user. The user in question, Rileyy_69, sent a mammoth amount of abuse to Daley, 18, personally on his account, mocking the death of his late father in a calculated and pre-determined attack. Daley was notably upset, where users of the site complained calling for the user to be banned, sparking a mass trending of topic. Even a Twit petition was launched. Tom’s father passed away of a brain tumour last year. Riley after receiving messages from users upset with his behaviour claimed he was not aware of the death, in order to backtrack. Riley has sent some bitter tweets to another user, one said to be highly engulfed in a Twitter war, where abuse and death threats are sent constantly. One YouTube clip has also shown the levels of ferocity and hatred in one’s self. The Video, with extreme hatred involved, has since been deleted from the site. Sorry about that. Tweeters are asking the government to take action and lock this “vile fiend” up as is a threat to society , picking on anyone who disagrees, users claim. Sky News also picked up the story within hours of the abuse beginning. Riley threated to sue them for reporting it. Various sites and ITV news, also reported the story. Riley, while in his feud with the other user @_OllyRiley even tweeted naked pictures of his adversary’s genitalia, mocking him and claiming he was a “bigger” man than him, and also threatened to kill him. Most claim the user sought to bump up his follower account while having no respect for anyone else. The 17 year old, real name found on his Facebook and other Twitter accounts, Reece Sonny James, has been arrested by police instantly. Dorset police stated – “He is helping police with their inquiries.” Some ask for a tougher sentence with death threats and seeking to “hunt you down” to users. Day 3 was sensationally plunged into controversy. The evening’s proceedings of Men’s Artisic Gymnastics began humbly where a fair sporting event was commencing. 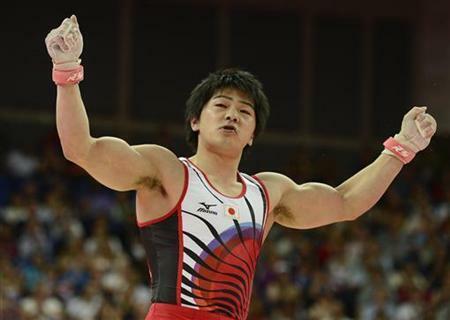 Japan’s Koji Yamamuro scored 14.033 on the Vault after having a clear mass stumble falling onto his knees and legs after taking to the air, hurting his legs in the process. It would be this decision that Japan appealed. China clearly sailed into first, though second were Great Britain and third the Ukraine, who came up from below the board. After ten minutes of deliberating, Japan were granted their appeal and bumped into second place, where GB were pushed to third and bronze slipped from Ukraine’s grasp. Alas, Britain gained a bronze, for which they were gracious of, which had not seen a medal for the country in a century. Team GB put on an excellent display with Louis Smith, Max Whitlock, Daniel Purvis, Sam Oakley and Kristian Thomas. Thomas became one of the standout forced instrumental for the team, classed as too big for the rings, had control, performed an excellent hangar legs out hold, with added choreography that seemed well performed, with a near perfect landing. Max Whitlock, on the pommel horse, also performer well, with a leg wave finish in a perfect poise. Gael Da Silva and Pierre Yves Beny of France, also had good vaults, though didn’t gain enough overall scores to raise from the lower ranks of the board. 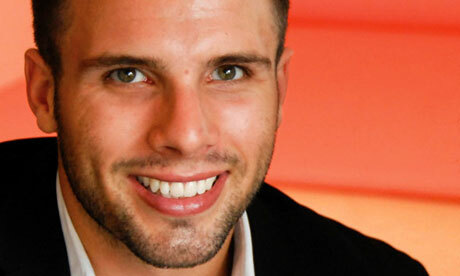 Hamilton Sabot of France and at least one member, if not more added to eye candy for all fans watching. Daniel Keatings for Team GB was respected by the team, thanking him for being reserve. Royalty also came to view the feat of centuries, with Princes William and Harry in attendance. 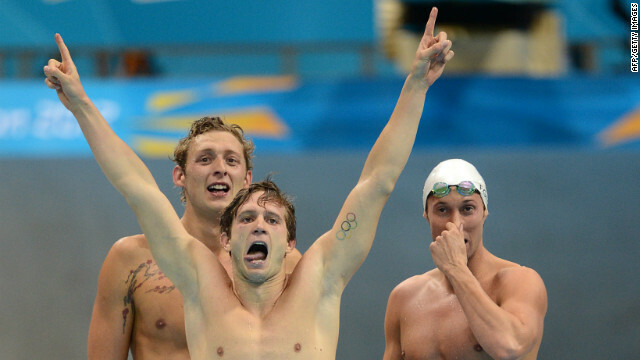 Swimming continued on,with shock in the 200m Men’s butterfly. 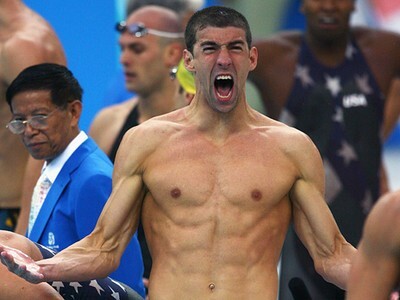 In a tense swim, Phelps, came in third before the last leg of the race where he dominated once more and torpedoed through the stream to finish first. No-one knows how he does it, but an excellent proof of athletism. Sparring partner Ryan Lochte, however, didn’t make the podium after France’s Yannick Agnel to first place in the 200m freestyle. Agnel previously defeat him one day prior in the 400m freestyle event. Kate Walsh for Team GB’s Hockey suffered devastating injury, needing emergency surgery. She may return for Thursday. Paula Radcliffe had to step down from the marathon run for the Olympics due to injury. Prime Minister David Cameron also watched the event from the crowd. The empty seats continued to define the games, where some returned spaces went on sale, which most of the country did not know about, therefore missing once more. Other claimed they are still too overpriced to venture out for. Sponsors only gained 8% of tickets, though receive most of the blame for this void in stadium space, mostly at the North Greenwich arena for today’s Gymnastics, and some in the Aquatic center in East London once more. See Day 1 Results on how to solve this issue. Day 2 saw swimmers plunge forth once more at the aquatic centre in East London, where numerous races went forward. 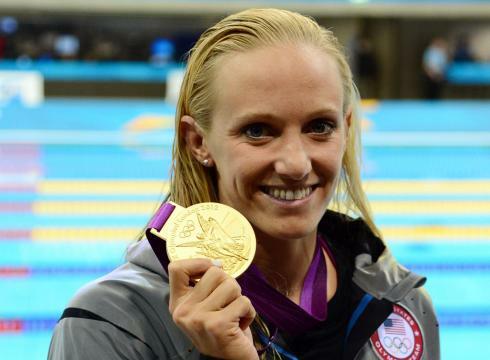 Dana Vollmer snared gold for the US in the Women’s 100m butterfly, with China and Australia picking up Silver and Bronze, respectively. Vollmer didn’t just win gold, setting a new Olympic record in a double whammy cutting off .08 from the previsous record set in 2009 by Sweden’s Sarah Sjostrom as well as 0.63 from the 2000 games at Sydney held from Netherlands’ Inge de Bruijn. The Men’s 200m freestyle Semi-finals saw Ryan Lochte, winner yesterday; enter at fifth behind Yang Sun for China. Once winning the top race, Lochte is now under pressure from onlookers where most noted he clocked lower times than previously and in the Relay Finals for the Men’s 100m freestyle 4 man teams, Phelps managed to re-prove himself with the fastest time of 47.15. The US team came in at second, pipped by unsuspecting France who claimed the gold. Russia took the bronze medal. 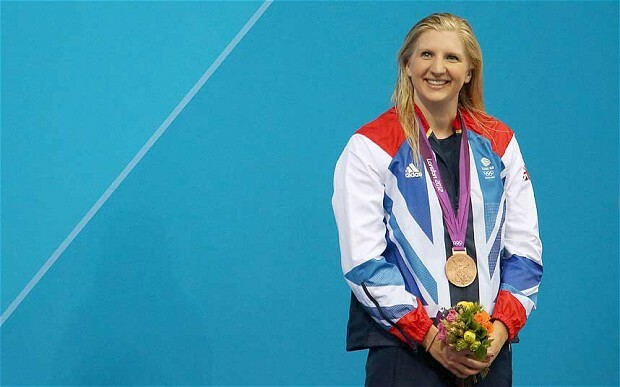 Women’s 400m freestyle saw Brit hopeful Rebecca Adlington come in third who weighed up a positive response, adding she claimed a medal despite not being gold and was pleased with that in a show of humble sportsmanship and respect for the games themselves. American Allison Schmitt claimed silver, with Camille Muffat taking gold for France. Team GB flew out of the competition after falling to Germany in mixed doubles. 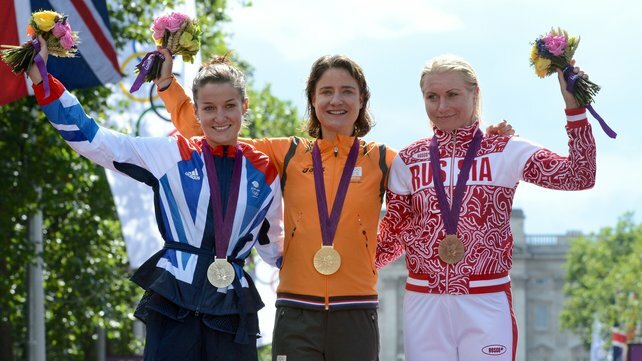 Women’s road racing saw Elizabeth Armitstead fail to lift Gold but grabbed silver instead. She lost out to Marianne Vos of France. Olga Zabelinskaya took the third place medal. Ally Raisman of the US scored 15.325 on the Gymnastic floor adding to a grand total of 60.391 to win the Gymnastics’. Men’s Waterpolo saw Britain enter the pool once more since an absence dating back to 1956. All team members were back in Team GB speedos, which was an encouraging site. Bodies of the water events claimed by January 2012 the wetsuit thingy-majig would be outlawed, which now almost every swimmer has taken to wearing, abandoning the speedo itself. Romania beat Great Britain 13-6. Croatia, Spain, Italy, US and Serbia also made it through the preliminary stages. Have Pride in your Pants! 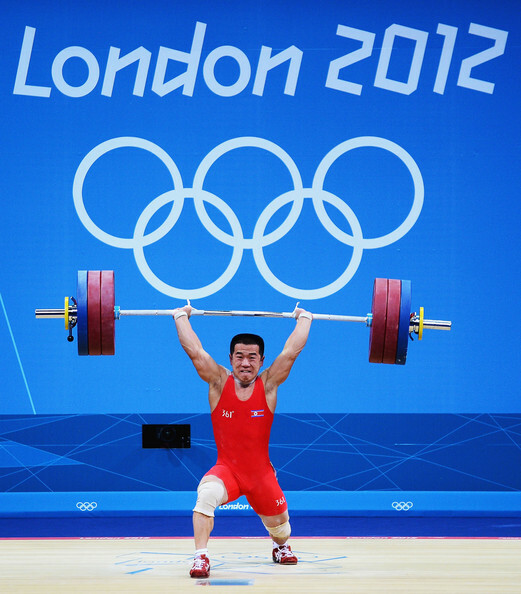 Men’s weightlifting saw Korea win gold after China stumbled at the last push of a lift, unfortunately dropping the bar in a hearty effort, to hold silver. Azerbaijan took Bronze in the 56kg. Kazakhstan’s 19 year old Zulfiya Chinshanlo made an impressive entry, coming first to lift gold in the 53kg for the females. Race 2 of Sailing went on, with Dane Jonas Hogh-Christensen best Ben Ainslie (GB), coming in second. Kim Rhode made an Olympic record with gold for Team USA in the shooting challenge, missing only one bird out of 100 available. There’s always room for improvement. Hard to best that score for any future rival. Royalty had a go in the Dressage Equestrian events, with Zara Phillips, coming joint 24th with Christopher Burton of Australia, while the Team Dressage events saw GB in third as Australia claimed second. Germany sit atop the board so far. Mary King (GB) came in 14th on her Imperial Cavalier despite participating in torrential rain. The show must go on. She gained at least 71% in a hard slog trot along, with an iron will to succeed neglecting the weather. 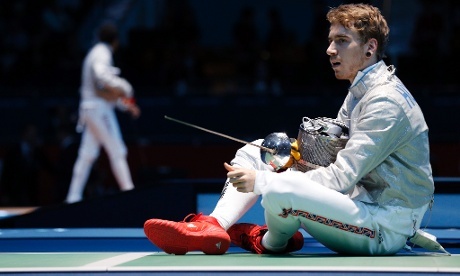 Sabre’s at the ready for Hungary, where Aron Szilagyi swashbuckled to first place medal takage. Italy and Russia took second and third for medals too. 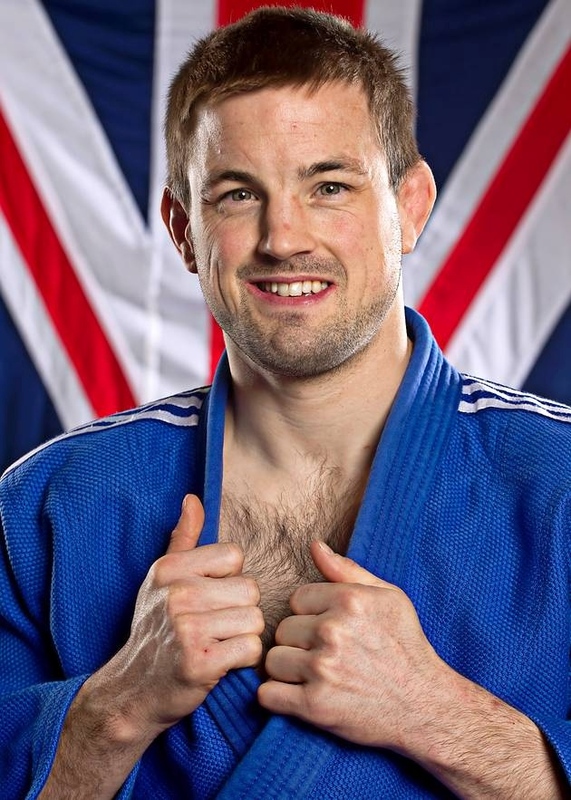 James Honeybone for Team GB put a hearty comeback in after his opponent needed two points to victory. Honeybone took a tantalising run of points in catch up, until Belarusian Valery Pryiemka eventually thwarted his attempts. 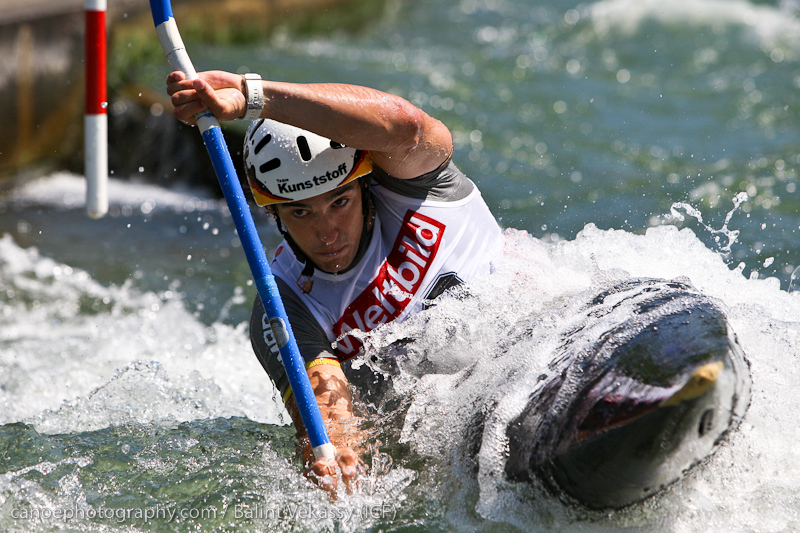 Kayak’s were launched in the Canoe Slalom, where Hannes Aigner breezed into first place for Germany, whilst Spain’s Samuel Hernanz took second. Russian Vavrinec Hradilek sits in third. Semifinals will continue shortly. 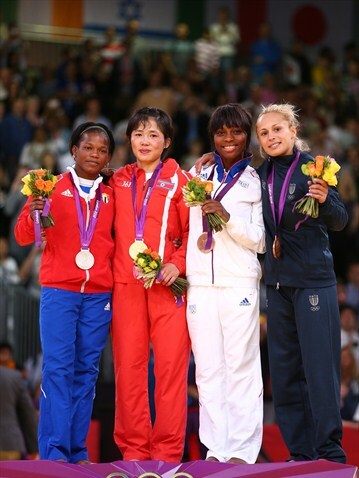 The Women’s 52 kg event saw four medal winners, with gold going to Ae Kum An of Korea while Cuban Yanet Bermoy Acosta held silver. Both Rosalba Forciniti (Italy) and Priscilla Gneto (France) both secured bronze. 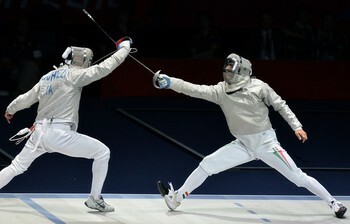 Georgian Shavdatuashvili bested Colin Oates (GB) in a tense tussle earlier, going forward to win the event with gold. Hungarian Miklos Ungvari settled with silver, in the Men’s 66kg category. Masashi Ebinuma (Japan) and Jun-Ho Cho of Korea, both took bronze. Team GB’s girls Adlington and Armitstead earned Britain its first two medals of the games, putting 12th on the leader board. (see below) More are expected to come as event’s continue. One instance from day 2 is certain, it belonged to the females worldwide. An encouraging day for sport and females indeed. Congrats! 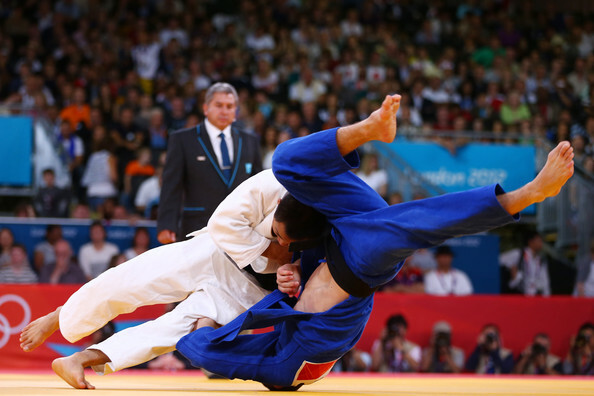 Day 1 of London 2012 Olympics Round Up: Aquatics, Cycling, Judo and Gymnastics. With so many results and too much to mention for people to read, most will be summaries or results for those hoping to know, without seeing a screen. After the Opening Ceremony, the Olympics officially began on Saturday 28th July, with rowing in the early morning seeing Great Britain lead the charge in the females coming first, and the males both in the 2 men boats, with Helen Glover and Heather Stanning also setting a new Olympic record. 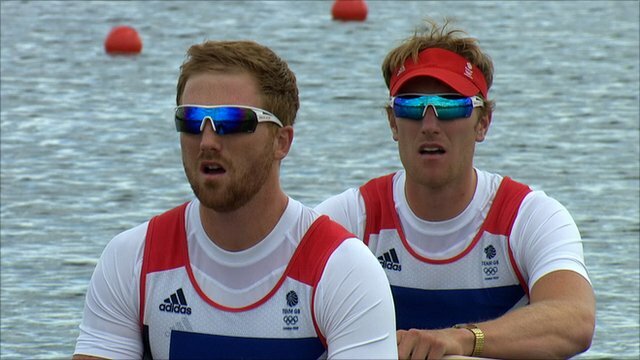 Britain’s beautiful boys Will Satch and George Nash, both twenty two years of age, rowed to victory in the double sculls vessel. The biggest news came in Cycling and Swimming, where Team GB, including Tour De France winner Bradley Wiggins and home favourite Mark Cavendish unable to win the Cycling challenge around London, was won by Kazakhstan’s Alexandre Vinokourov. Cavendish crossed the line at 29th place. Cavendish also told a reporter to “stop asking stupid questions” once asked a daft one of whether the Tour De France had tired the athlete out. 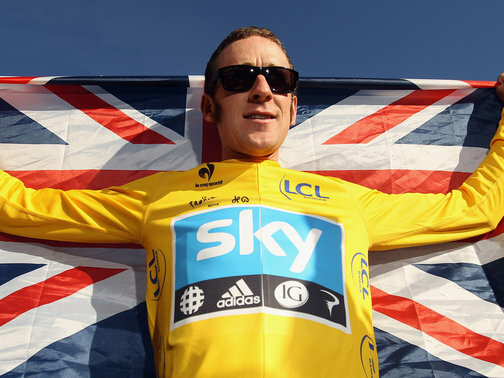 Bradley Wiggins didn’t wear a repugnant “Sky” branding ruining the event with advertising at London 2012, thankfully. The BBC also took a hit, having to apologise for the poor coverage of the race, with presenter Jake Humprey apologising for poor audio and Gary Lineker tweeting on the camerawork – “This is the Olympics. The coverage is from a pool of broadcasters from across the world. I’m afraid that’s how it is regardless of who hosts.” The BBC launched twenty four television channels for the two week spectacular as the main host of the TV games. Disheartening for Phelps, though let’s not take away from Lochte, who became an impressive turning point in the event, adding valuable competition. 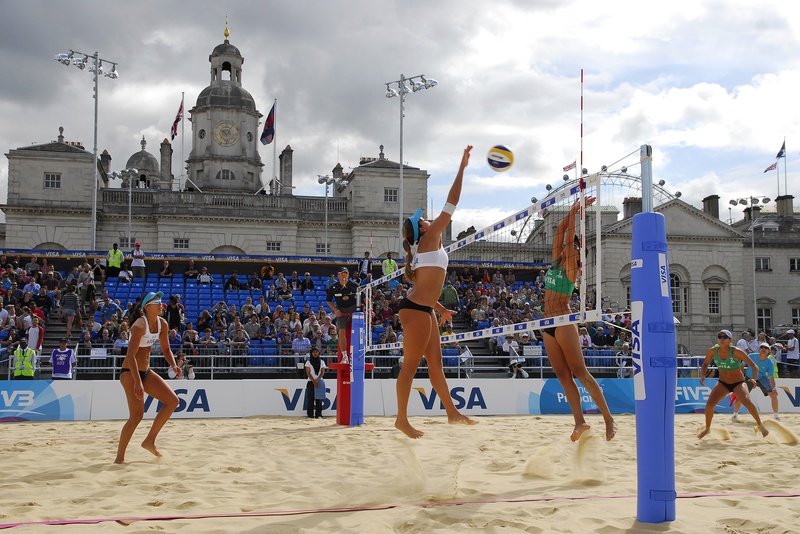 Women’s Beach Volleyball also took place, outside in London, filled with sand, on a sectioned off space, rather than a beach, while China claimed the first medal of the games in the shooting event. 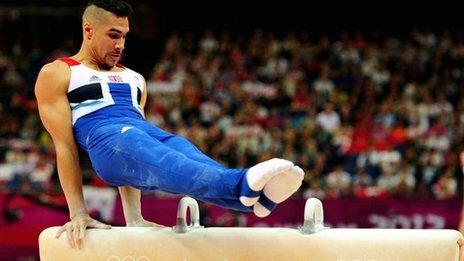 Qualifying for Men’s Gymnastics took place with Louis Smith proceeding. Japan and China are tipped as rivals to defeat. 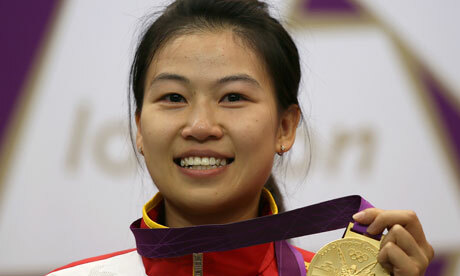 China also won the gold for female Weightlifting. 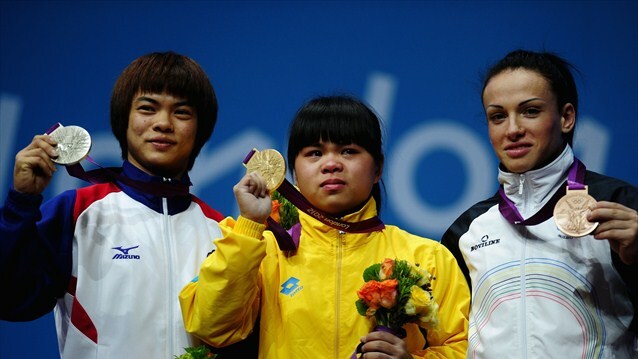 Yi Siling took the first Gold medal at the games. 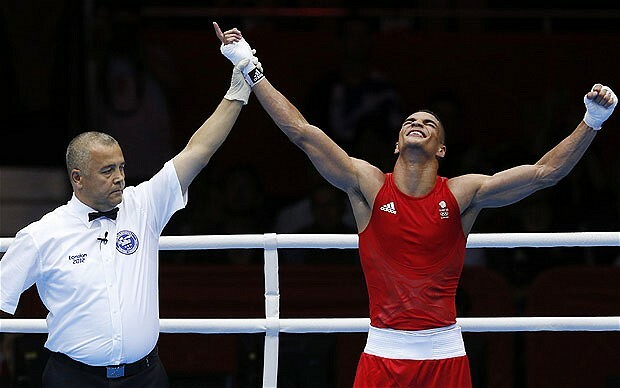 Boxing saw Anthony Ogogo defeat Dominican Republic’s Junior Castillo by 13 – 6 on points going through to Thursday’s next round in the top sixteen. He’s got a sensitive mouth, alright? 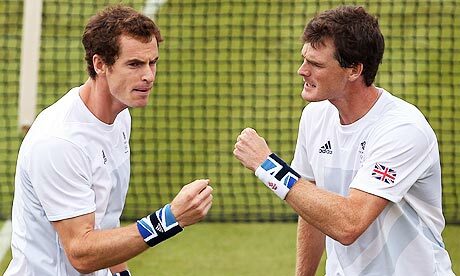 Tennis began at the Wimbledon grounds, where both Murray brothers Andy and Craig lost out to Austrian’s Melzer and Peyer. Both Murray’s got their Team GB sweats on. 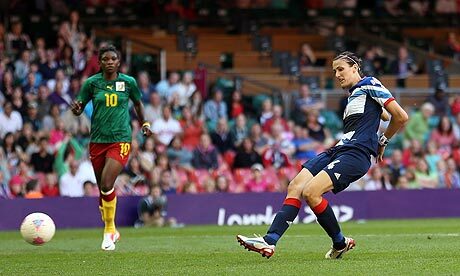 Cardiff’s Millennium Stadium bore host to the female football teams of Cameroon V Great Britain, which actually started on Wednesday to begin the Olympics, despite the Opening Ceremony beginning two days LATER on Friday 26th. Brazil and Great Britain proceed over New Zealand and Cameroon. 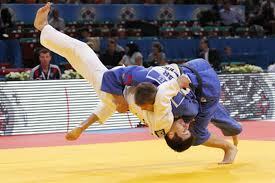 Judo saw Londoner, Ashley McKenzie, lose out to Japan’s esteemed Hiroaki Hiraoka in the 60kg category. Sarah Menezes overcame struggle to become an inspiration, lifting victory in the finals as Olympic Gold champion for Brazil, which can only add to the pride of the 2016 Olympic holders fruitfully. One instance was noted from the day’s events in the Excel centre – empty seats. Tickets were given to sponsors who chose not to turn up/participate nor send representatives. Perhaps they should rectify this by placing aspiring journalists/reporters (hint hint) or individuals to represent their companies to claim those seats. 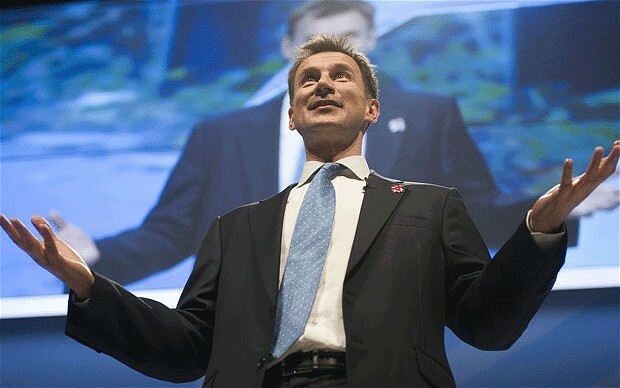 Culture Secretary Jeremy Hunt was said to be investigating the mass hubbabaloo. The answer is clear, seats are continually empty over the course of 2012 and will remain so because, tickets are ridiculously overpriced. It can cost you near £200 to get a third level seat in most events, classed as the worst seating in the three tier placings. Football, which received the biggest dip in sales from beginning on Wednesday, start at roughly £88. It is not a viable price considering the economic climate, and GB wonder why the British public, and outsiders, have no faith in the Games forward planning. 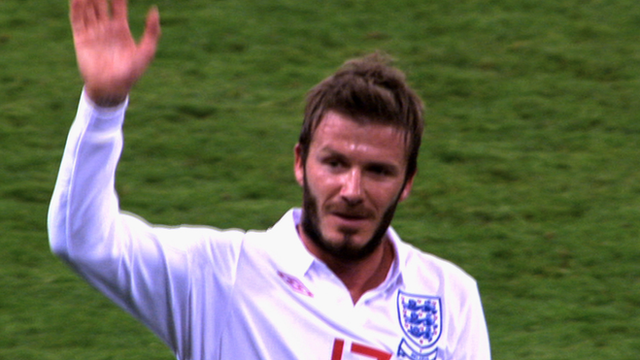 Stuart Pearce, coach for Team GB’s Male squad again faced scrutiny for failing to select, nor have David Beckham as a player (nor as Captain), as a big reason, gone unreported by the media. 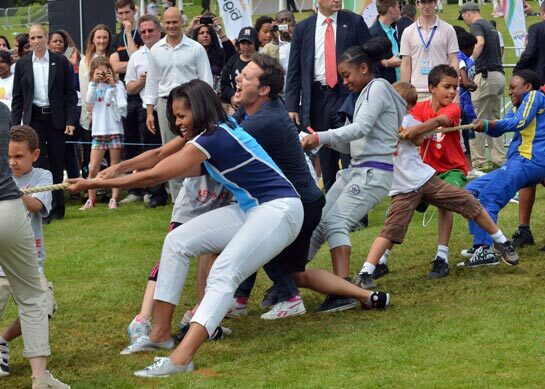 Female role model and First Lady, Michelle Obama returned to the UK to cheer on the USA AND the UK with the games in a celebration of Olympic culture, and also joined David Beckham a day earlier. These two role models added high prestige to moral standing in country values, worldwide. Many Brits want to be involved, however, everyone involved with the Olympics are keeping the public further away from the events. There are no incentives to join, and the games, supposedly meant to encourage youth, old and middle aged citizens to join in unison and come together instead of being diversely separated in society, which is already highly defragmented. Government wish to bring the country together with the games, yet fail to understand they need to encourage the country to pay. They will not pay £80 for a seat, because they simply don’t have that amount of money, therefore causing a backlash in faith and fairness. 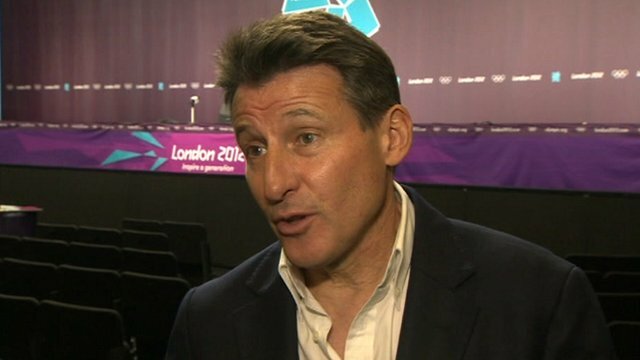 One of the event organisers, Lord Seb Coe. It never looks good with empty seats. At least fill them with professionals or Journo’s or even those who have interest and trying to make a career, embodied with the struggle of working and education fees rising with no experience or a break in the market. Offer tickets to bloggers to blog the Olympics. Of course, seeing as I mentioned this, if implemented – tickets please! 🙂 Contact on Twitter for email can be gained – @Dean_Tonberry. However, it makes common sense, brings people together and spreads a positive environment to join the country closer together, than pushing it further apart. It also inspires those doing work to be further influenced to gain employment and get the country and its economy moving once more. Jesus Christ Superstar is Crowned! Last night saw the finals of Superstar, ITV1’s new reality telly talent search genre show crown a winner to play the role of Jesus in Lord Andrew Lloyd Webber and Tim Rice’s West end theatre production, Jesus Christ Superstar. 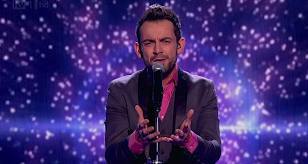 The three finalists were Ben Forster, 31, Rory Taylor, 24, and Roger Wright, 41. 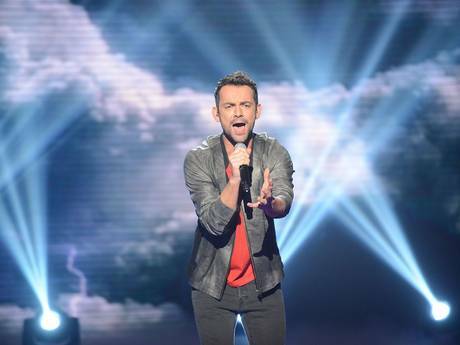 Ben Forster became the winner, landing the role. Forster, who has previous experience with credits including Thriller LIVE (based on the late Michael Jackson’s hits), where Ben, having seen him live myself at the very show, manages to make the crowd interact in the actual theatre, which is a rare feat. 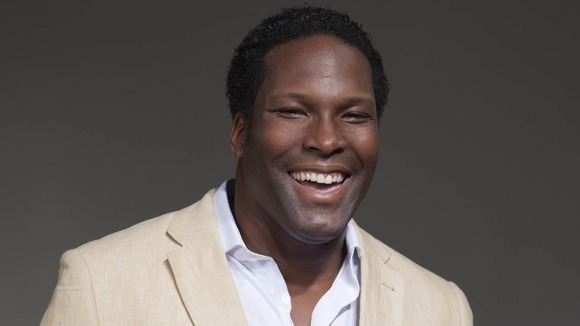 He could even make a stiff like me move down the aisles. I’ve got some moves, but not everyone can handle ‘em, but Ben managed to prise them out of me, as with everyone else in a magnificent musical gathering. It became one of the best nights to remember since. Runner up Rory, highly backed because he was from “the Wirral” became popular due to postcode, as most shows do. Rory is a great singer, but more of a shouter, whereas Ben has stage presence, powerful vocals, able to adapt to all ranges, and has acting credentials to invoke emotional connection to audiences. He was right for the role, which the public thankfully selected. Over on Twitter, some users noticed the “nasty” Dan Wooton, a showbiz columnist for the Mail tabloid newspaper, in which he would back Rory and write suggestively negative comments throughout the night aiming to derail Ben’s victory. It did not work. 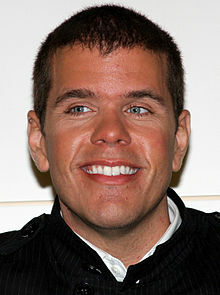 Wooton is now being classed by the internet community as a growing concept as “Perez-Hilton-ism” you know, where he loves to be seen getting a glamour shot with a celebrity to pose for to raise his so called profile in the media and will dump on anyone he doesn’t fancy or favour through own personal taste, which begins to make a mockery of the British press, also cutting into his own credibility as nothing more than someone who doesn’t actually understand anything fully and delivers personal opinion that shines a light on him as inconsistent in every word typed. 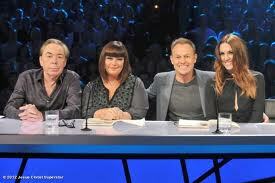 The panel on the show, which ran every night for two and a half weeks, comprised of Jason Donovan, Mel C, Dawn French and the Lord Andrew himself. Comedy writer and actress French came under scrutiny for being on the panel, unable to sing herself, however in this instance, when certain levels are related to writing, on screen stage presence and acting, and with someone of French’s experience, had a valid place on the panel, as being able to give credible advice for improvements. Spice Girl Mel C shall star opposite the winner in the role of Mary Magdaline. The show was hosted by Amanda Holden, suffering from a deadly disease any presenter can face, Kate Thornton-itis. Classed as “wooden” and “uninteresting” Holden, as down to earth as she may be, was not considered the correct host for the role. We would have to concur. Whilst managing to look glam, seemed to cause an inflammation on Twitter with her dress wear on the final, which looked at one point she was beaming up to Babylon 5. Babylon 5, can you hear me? Sadly Ben didn’t have a thorned crown, to wear, while most would have preferred a loin cloth ceremony. 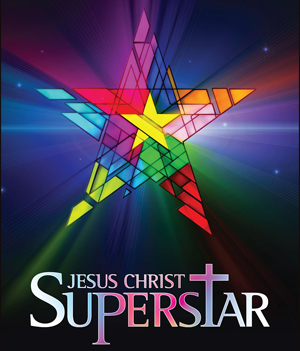 ITV had been cautious of the name of the show, which had dipped ratings lowly on its first episode to roughly three million only, rechristened it Superstar, as worried to call the hopefuls a potential “Jesus”, which the show Jesus Christ Superstar is looking for. The stage show begins on September 21st with tickets on sale now. Though many ask why Ben will only be doing roughly ten shows, starting at the O2 arena in London. Ben will also take part on the live tour. On the eighth week ironically eight housemates out of ten are up for the chop, making fans speculate over a potential double eviction. Only Becky and Scott were safe, meaning Ashleigh, Adam, Caroline, Conor, Sara, Luke A, Luke S and Deena are up for nomination. Deena is current bookies favourite to win the show, after being an outsider from the beginning. 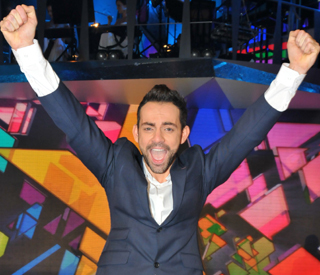 Last week Lauren Carre was evicted over popular Luke A.
Lauren with host Brian on eviction night. Glam Shoes for the Kylie-alike Lauren. Being a vote to save, fans assume Ashleigh is hot favourite to fall last in contention, though others hope it will be a two way elimination. Eliminate Caroline. Nicknamed the Terminator by her housemates past and present, any one she schemes to get up for eviction ends up leaving, however, Wharram has managed to cause abuse, racism and highly aggressive verbal abuse towards other housemates. Many excuse her due to her age of 20. Age is NO excuse. I was morally right since 14 or younger. There is no excuse for the levels of behaviour to that extremism. 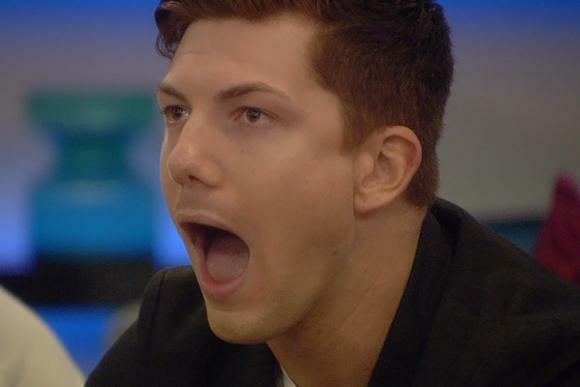 Big Brother took NO action on Caroline’s disgraceful behaviour. Last week Scott and Ashleigh were reprimanded by Big Brother after complaints to OFCOM regarding Indian stereotyping. Only acting on OFCOM’s direction, Caroline still hasn’t been reprimanded for her levels of abuse, including a Nazi salute. Everyone will stereotype, we do it all the time, and this is not a form of abuse, it is everyday life. It will continue to remain. 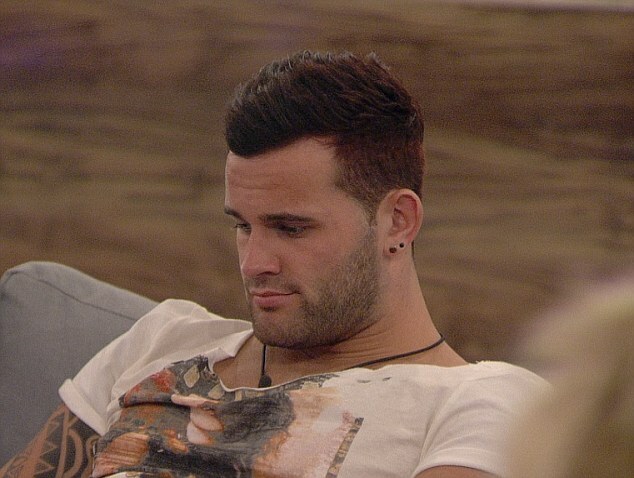 However, abuse on levels of racism, including claims of a black man being a “gorilla” which still didn’t call Caroline in for stereotyping, after weeks previously giving her a light word most call a ‘slap on the wrist.’ Conor McIntyre has not been dealt with regarding his former abusive comments to females and aggressive nature in the house, which has cast immense negativity over the production of the show. Mariah Carey, 42, has become the new female lead judge on America’s most popular judging panel for TV show American Idol. She will replace Jennifer Lopez, who left the show this year. 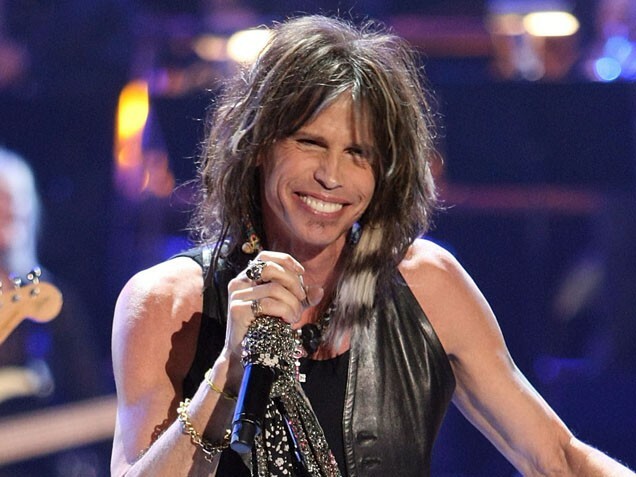 Steven Tyler, lead rockman of Aerosmith also departed, whose replacement hasn’t fully been acknowledged yet. Carey is expected to earn the same sum as former judge Lopez, netting roughly $2 million. She is expected to debut in early 2013 for the twelfth series. 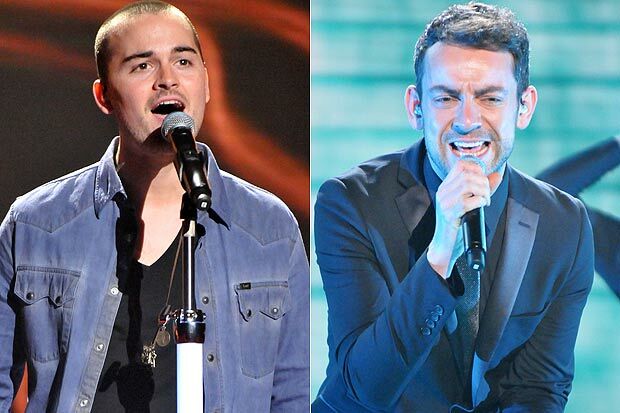 Tensions have previously been reported between Simons Cowell and Fuller both on the rival shows. Carey was meant to be last year’s XFactor USA judge’s houses guest with Cowell, and future panel work was considered. Britney Spears currently earns $3million more on XFactor USA.